How can we change the theme for the docking libraries to the old styles? Also, would it be possible to give an overview or mapping where some brushes went and how they are called now? Would save us tons of time figuring out how they are all named now in the AssetResourceKeys dictionary. I'm sorry but the lighter background look is no longer available in 2011.2. You can alter the brush assets as you need though. 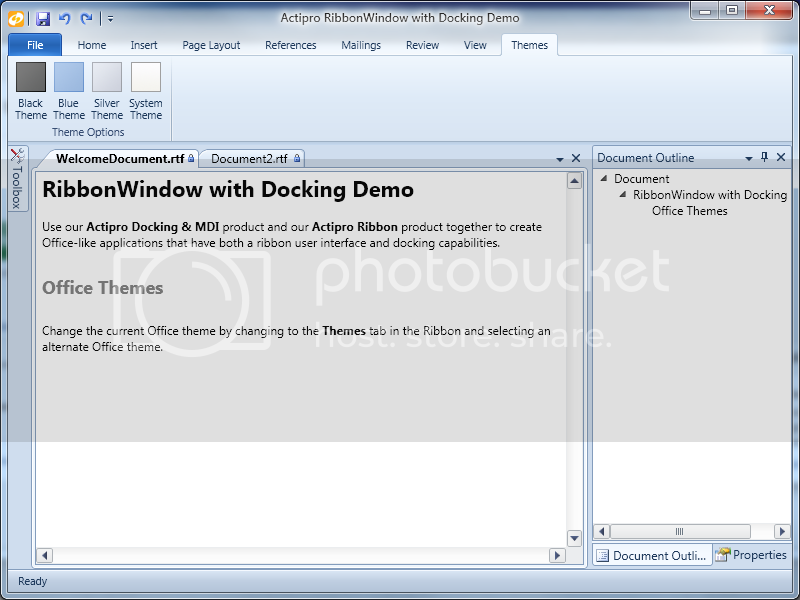 If there is enough of a request for the lighter color look, we may consider adding options for that in the future, but we think the darker workspace appearance is better because it focuses the end user more on the docking window content instead of distracting UI. 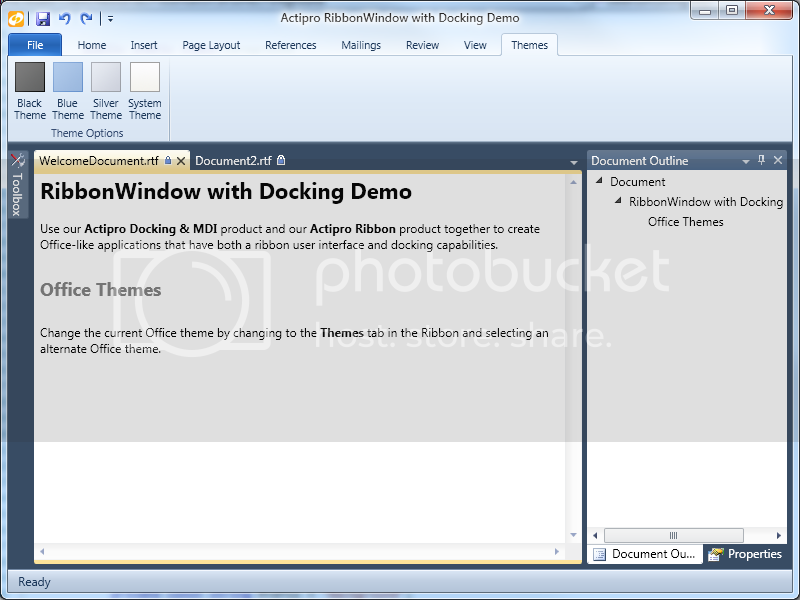 Docking uses assets named like DockingWindow*, ToolWindow*, TabbedMdi*, and StandardMdi*. I shall discuss this with our UX designers if this new theme will be ok in our new release, so we that can use the new 2011.2 release. If that fails, would it be possible that you would fix the bug we've reported in the previous release 2011.1 instead? We may be able to do a fix in the v2011.1 Docking, but would have to look at what it was to be sure. This issue is fixed in the 2011.2, and it would help us very much if it can be fixed in the 2011.1 as well. Thanks! We have a WPF Studio licence. We may be able to get that one into a future 2011.1 maintenance release, but would prefer if you could migrate to 2011.2. In the meantime we will discuss the upgrade to the 2011.2 release as well. In our minor bugfix release of our product it will have too great an impact on the user interface, so we will probably postpone it to our next major. Any indication when this maintenance release will be released? Not sure offhand, if you need it soon then perhaps email our support address and we can see if we can give you an unofficial build with the change you needed. The new styling sample is work in progress right now. There probably won't be another maintenance release of 2011.2 with the sample until after the new year due to the holidays. Per the previous post, if you needed a preview build of a 2011.1 maintenance release, you could write us. We don't have any immediate plans to put one of those out.